- Making an enquiry is not a booking. We reserve the right to confirm bookings to the first person to complete a deposit, regardless of who enquired first. - Check-in is after 2pm. On the day of departure, check out is prior to 10am (late check out is automatically charged at $25 per hour or part thereof). - Bringing more people than your confirmation letter states (including babies and children) will result in your reservation being instantly cancelled, without refund and everyone in your group will be denied entry and asked to leave immediately. You will then need to seek accommodation elsewhere. - We do not accept pets under any circumstances. Smuggling in your pet will result in your booking being cancelled without refund and you will be asked to leave the property with your pet immediately. Additional cleaning fees will apply if your pet has been inside the accommodation. 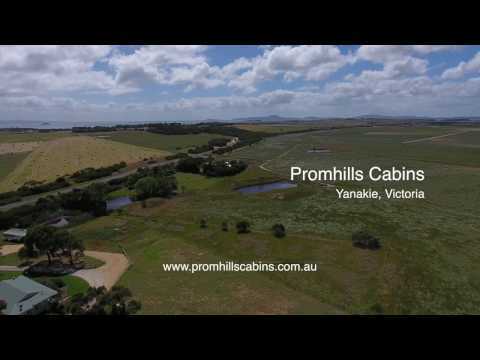 - Promhills Cabins property is for the exclusive use of our guests ONLY. No additional visitors are permitted. If you have friends/relatives staying locally, for the security, privacy and serenity that our other guests are entitled to, you will need to meet/gather offsite. - By confirming a booking and paying a deposit, you agree you accept our terms & conditions and authorise us to charge your credit card for any additional charges or damage caused to Promhills Cabins property including smoking inside the cabins, extra guests, day visitors, theft, damage, late departure, excessive cleaning. The person making the booking is accepting these terms and conditions on behalf of all persons in the booking. Use of the property, its contents, equipment and facilities are at your own risk. - Special requests and cabin selections will be granted where possible, but can not be guaranteed and depend on the bedding requirements of other bookings. - Please note: Children are welcome but MUST be included on your booking and must be supervised at all times. There is a dam on the property, along with farm animals - we are a rural property with all the associated hazards. For safety, children/guests are not to climb on or go through any fences or open any gates at any time. When supervising your children, please respect the serenity and privacy of other guests by not allowing them to play in front of other cabins. - Management reserves the right to remove or refuse entry any persons breaching the above terms. - 50% deposit will be taken to confirm your booking and balance is due 7 days prior to arrival. If you book within 7 days of arrival, payment will be taken in full at the time booking. For travel agent bookings, 50% deposit, then the balance 30 days prior to arrival, full payment at time of booking if arriving within 30 days. - Date changes are only permitted with more than 30 days notice (admin fee applies). ONE date change per booking is permitted, then cancellation applies. - Unfortunately, very rarely, circumstances beyond our control mean that we may need to cancel a booking. If this happens, we will refund you 100% and assist you with the contact details of alternate accommodation providers. - This cancellation policy is for direct bookings only. Third party website bookings, travel agent bookings or voucher bookings may have a different cancellation and/or payment policy, refer to your third party booking confirmation letter. If you have booked via a third party who has provided us with your email address, we will also send a confirmation so you know we have received your booking, however, your original third party booking cancellation policy terms and conditions prevail. If you have not received your confirmation email, please check your junk mail first, then Contact Us and we will resend.